Being a fit and healthy plus size momma to be means that I am doing what I can now to keep my body as healthy as possible during this pregnancy. But since I was already plus size before I got pregnant, I already had those dreaded stretch marks. Honestly, I think stretch marks tell a story about you. They shouldn't be looked at so negatively. They are what they are and we can't do anything about them once you have them but I understand completely about controlling them as much as you can especially during pregnancy. I'm pretty fair skinned and new stretch marks are bright purple on me. But I haven't gotten any new ones this pregnancy, just my old ones are getting more elongated. 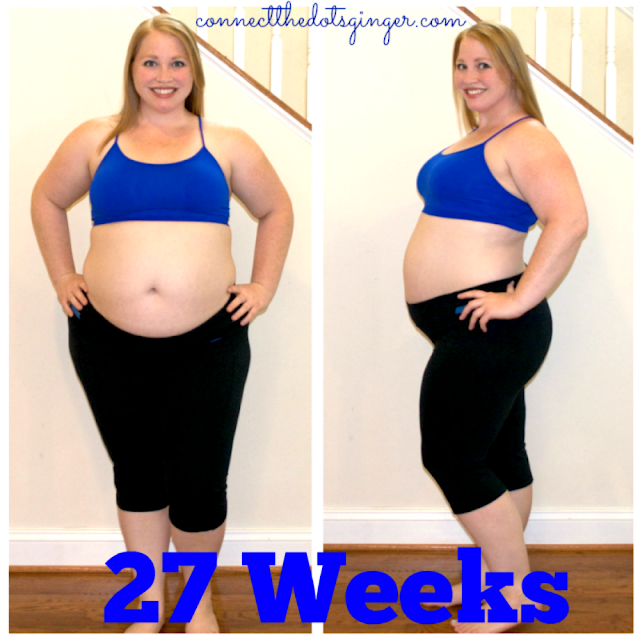 You can compare my 27 weeks pictures to 36 weeks below! I just have my faded white ones. I got my stretch marks a few years into our marriage when I was eating whatever I wanted to eat because I thought, hey, I'm going to get pregnant right away, then I will breastfeed and lose all this weight! But that didn't happen. It took us 8 years to get pregnant. During that time before I got pregnant though I just kept eating whatever I wanted. Buying 2 doughnuts and a candy bar at the grocery store and eating them quickly on the way home from the store to "hide the evidence" of what I was doing from my husband. And slowly inside I was breaking. I was depressed because I wasn't getting pregnant. I felt like I was letting my husband down because I couldn't do the thing everyone else was able to do so naturally. And over a few years I went from 190's (I actually don't know how much I weighed on my wedding day!) to 240. And with that quick jump up in weight my body just over stretched. But I look at my stretch marks of what I learned. Because I finally started getting my stuff together around 7 years into our marriage. Working really hard to be healthier and exercise more. And I was! EXERCISING A TON! When I was finally at 197 is when we started the fertility round that got us pregnant. And by the time we were pregnant I was at 203. But my stretch marks were still with me as a reminder of how far I had come and what I learned. With Mason I gained 52 pounds. I was at my heaviest when I delivered him. 255 pounds. And thankfully I didn't get new stretch marks because I used lotion on my belly all the time. Fast forward to this pregnancy and I knew I was going to end above 255 only because I started at 237 pounds and I was aiming to gain between 20-30 pounds. As scary as that number is to think about ending at 267, I knew it was a possibility. But I wanted to work really hard at keeping my stretch marks at bay. 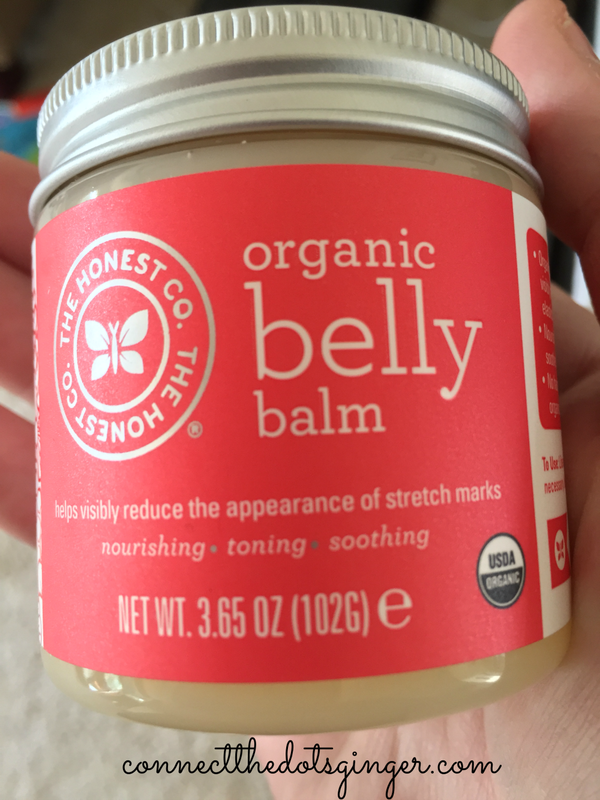 This pregnancy I have been using the Honest Company Belly Balm and it has been amazing. 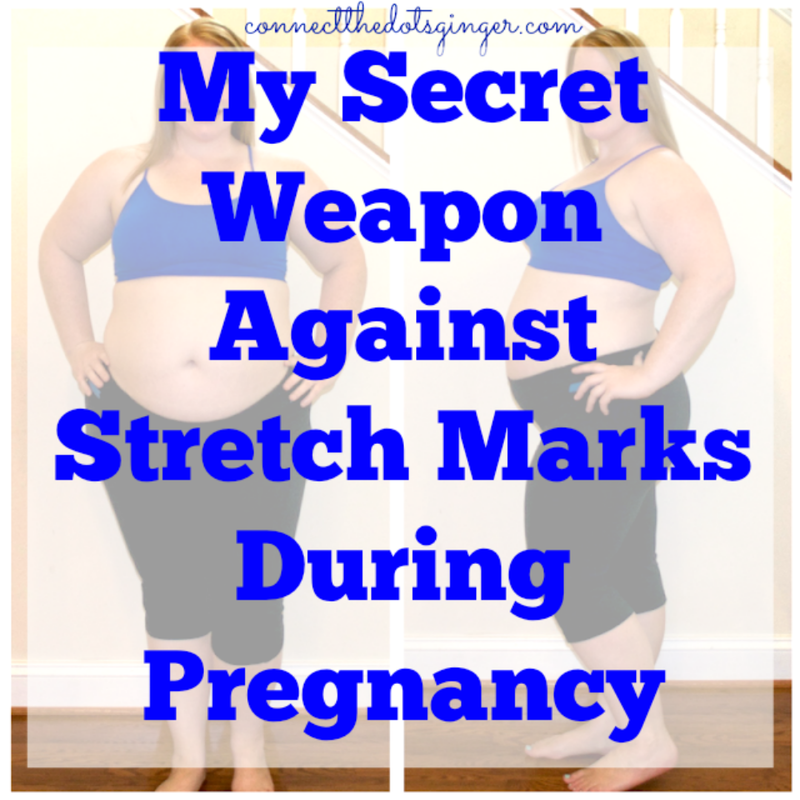 I might be more "stretched" than ever now but I have not gained any new stretch marks. And I think it is all because of this Belly Balm! Made without: petroleum, mineral oil, lanolin, gluten, parabens, phthalates, fragrances, dyes, or most common allergens. We all have stretch marks. Wear them with pride because there is nothing you can do to erase them. Just like you can't erase your past, but you can embrace them for what they are and use things to help make your skin more elastic so that you don't increase your chances of getting more.